It could all just be a smokescreen for Josh McDaniels, but over the last few hours, reports have come out that Oklahoma coach Bob Stoops will talk to the Browns, and now there’s a tweet out that former Buckeyes coach Jim Tressel will talk to the Browns in the next few days. 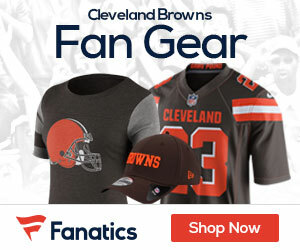 The only coaches that has spoken to the Browns thus far is Seahawks defensive coordinator Dan Quinn and Cardinals defensive coordinator Todd Bowles. As for McDaniels, the teams brass will talk with him on Saturday, and it would still be a shock if he’s not the guy on the sidelines next fall. 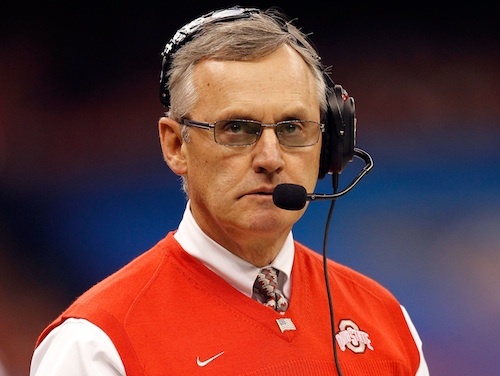 As for Tressel, the 61-year-old former Ohio State coach who won a National Title in 2002 is with the University of Akron, and recently received another promotion as an administrator with the school. His new title is executive vice president with added responsibilities in the transition of retiring university president Luis Proenza. Tressel did spend some time helping the Colts when Jim Caldwell was head coach, as he helped with the replays for the club. The Vest would be an awesome choice for the Browns!!!! Mark, You are a pathetic Retard! No NFL team or major college program has ever shown the least bit of interest in this guy! You need to just leave comments on entertainment blogs!